Benjamin Disraeli, 1st Earl of Beaconsfield, KG, PC, FRS ( December 21, 1804 – April 19, 1881), born Benjamin D'Israeli was a British Conservative statesman and literary figure. He served in government for three decades, twice as Prime Minister of the United Kingdom – the first and thus far only person of Jewish parentage to do so (although Disraeli was baptised in the Anglican Church at an early age). Disraeli's most lasting achievement was the creation of the modern Conservative Party after the Corn Laws schism of 1846. Although a major figure in the protectionist wing of the Conservative Party after 1844, Disraeli's relations with the other leading figures in the party, particularly Lord Derby, the overall leader, were often strained. Not until the 1860s would Derby and Disraeli be on easy terms, and the latter's succession of the former assured. From 1852 onwards, Disraeli's career would also be marked by his often intense rivalry with William Ewart Gladstone, who eventually rose to become leader of the Liberal Party. In this duel, Disraeli was aided by his warm friendship with Queen Victoria, who came to detest Gladstone during the latter's first premiership in the 1870s. In 1876 Disraeli was raised to the peerage as the Earl of Beaconsfield, capping nearly four decades in the House of Commons. Before and during his political career, Disraeli was well-known as a literary and social figure, although his novels are not generally regarded as belonging to the first rank of Victorian literature. He mainly wrote romances, of which Sybil and Vivian Grey are perhaps the best-known today. He was and is unusual among British Prime Ministers for having gained equal social and political renown. Disraeli was descended from Italian Sephardic Jews on both sides of his family, although he claimed Spanish ancestry. With this he may have just been referring to the fact that all Sephardim ultimately originate in Spain. His father was the literary critic and historian Isaac D'Israeli who, though Jewish, in 1817 had Benjamin baptised in the Church of England, following a dispute with their synagogue. The elder D'Israeli (Benjamin changed the spelling in the 1820s by dropping the foreign-looking apostrophe) himself was content to remain outside organized religion. Benjamin at first attended a small school, the Reverend John Potticary's school at Blackheath (later to evolve into St Piran's School). Beginning in 1817, Benjamin attended Higham Hall, in Walthamstow. His younger brothers, in contrast, attended the superior Winchester College, a fact which apparently grated on Disraeli and may explain his dislike of his mother, Maria D'Israeli. His father groomed him for a career in law, and Disraeli was articled to a solicitor in 1821. Law was, however, uncongenial, and by 1825 he had given it up. Disraeli, determined to obtain independent means, speculated on the stock exchange as early as 1824 on various South American mining companies. The recognition of the new South American republics on the recommendation of George Canning had led to a considerable boom, encouraged by various promoters. 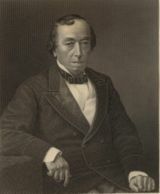 In this connexion, Disraeli became involved with the financier J. D. Powles, one such booster. In the course of 1825, Disraeli wrote three anonymous pamphlets for Powles, promoting the companies. That same year Disraeli's financial activities brought him into contact with the publisher John Murray who, like Powles and Disraeli, was involved in the South American mines. Accordingly, they attempted to bring out a newspaper, The Representative, to promote both the cause of the mines and those politicians who supported the mines, specifically Canning. The paper was a failure, in part because the mining "bubble" burst in late 1825, financially ruining Powles and Disraeli. Also, according to Disraeli's biographer, Lord Blake, the paper was "atrociously edited", and would have failed regardless. Disraeli's debts incurred from this debacle would haunt him for the rest of his life. 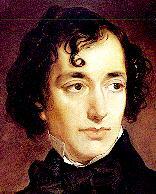 Disraeli now turned towards literature, and brought out his first novel, Vivian Grey, in 1826. Disraeli's biographers agree that Vivian Grey was a thinly-veiled re-telling of the affair of the Representative, and it proved very popular on its release, although it also caused much offence within the Tory literary world when Disraeli's authorship was discovered. The book, which was initially published anonymously, was purportedly written by a "man of fashion" – someone who moved in high society. Disraeli, then just twenty-three, did not move in high society, and the numerous solecisms present in Vivian Grey made this painfully obvious. Reviewers were sharply critical on these grounds of both the author and the book. Furthermore, Murray believed that Disraeli had caricatured him and abused his confidence–an accusation denied at the time, and by the official biography, although subsequent biographers (notably Blake) have sided with Murray. After producing a Vindication of the English Constitution, and some political pamphlets, Disraeli followed up Vivian Grey by a series of novels, The Young Duke (1831), Contarini Fleming (1832), Alroy (1833), Venetia and Henrietta Temple (1837). During the same period he had also written The Revolutionary Epick and three burlesques, Ixion, The Infernal Marriage, and Popanilla. Of these only Henrietta Temple (based on his affair with Lady Henrietta Sykes) was a true success. During the 1840s Disraeli wrote three political novels collectively known as "the Trilogy"–Sybil, Coningsby, and Tancred. Disraeli's relationships with other writers of his period (most of whom were male), were strained or non-existent. After the disaster of the Representative John Gibson Lockhart was a bitter enemy and the two never reconciled. Disraeli's preference for female company prevented the development of contact with those who were not alienated by his opinions, comportment, or background. One contemporary who tried to bridge the gap, William Makepeace Thackeray, established a tentative cordial relationship in the late 1840s only to see everything collapse when Disraeli took offence at a burlesque of him which Thackeray had penned for Punch. Disraeli took revenge in Endymion (published in 1880), when he caricatured Thackeray as "St. Barbe". Disraeli had been considering a political career as early as 1830, before he departed England for the Mediterranean. His first real efforts, however, did not come until 1832, during the great crisis over the Reform Bill, when he contributed to an anti- Whig pamphlet edited by John Wilson Croker and published by Murray entitled England and France: or a cure for Ministerial Gallomania. The choice of a Tory publication was regarded as odd by Disraeli's friends and relatives, who thought him more of a Radical. Indeed, Disraeli had objected to Murray about Croker inserting "high Tory" sentiment, writing that "it is quite impossible that anything adverse to the general measure of Reform can issue from my pen." Further, at the time Gallomania was published, Disraeli was in fact electioneering in High Wycombe in the Radical interest. Disraeli's politics at the time were influenced both by his rebellious streak and by his desire to make his mark. In the early 1830s the Tories and the interests they represented appeared to be a lost cause. The other great party, the Whigs, was anathema to Disraeli: "Toryism is worn out & I cannot condescend to be a Whig." Though he initially stood for election, unsuccessfully, as a Radical, Disraeli was a Tory by the time he won a seat in the House of Commons in 1837 representing the constituency of Maidstone. The next year he settled his private life by marrying Mary Anne Lewis, the widow of Wyndham Lewis, Disraeli's erstwhile colleague at Maidstone. Although a Conservative, Disraeli was sympathetic to some of the demands of the Chartists and argued for an alliance between the landed aristocracy and the working class against the increasing power of the merchants and new industrialists in the middle class, helping to found the Young England group in 1842 to promote the view that the landed interests should use their power to protect the poor from exploitation by middle-class businessman. During the twenty years between the Corn Laws and the Second Reform Bill Disraeli would seek a Tory-Radical alliances, to little avail. Prior to the 1867 Reform Bill the working class did not possess the vote and therefore had little tangible political power. Although Disraeli forged a personal friendship with John Bright, a Lancashire manufacturer and leading Radical, Disraeli was unable to convince Bright to sacrifice principle for political gain. After one such attempt, Bright noted in his diary that Disraeli "seems unable to comprehend the morality of our political course." 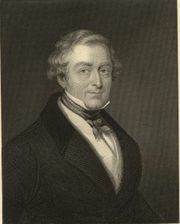 Prime Minister Sir Robert Peel passed over Disraeli when putting together his government in 1841 and Disraeli, hurt, gradually became a sharp critic of Peel's government, often deliberately adopting positions contrary to those of his nominal chief. The best known of these cases was the Maynooth grant in 1845 and the repeal of the Corn Laws in 1846. The end of 1845 and the first months of 1846 were dominated by a battle in parliament between the free traders and the protectionists over the repeal of the Corn Laws, with the latter rallying around Disraeli and Lord George Bentinck. An alliance of pro free-trade Conservatives (the "Peelites"), Radicals, and Whigs carried repeal, and the Conservative Party split: the Peelites moved towards the Whigs, while a "new" Conservative Party formed around the protectionists, led by Disraeli, Bentinck, and Lord Stanley (later Lord Derby). This split had profound implications for Disraeli's political career: almost every Conservative politician with official experience followed Peel, leaving the rump bereft of leadership. As one biographer wrote, "[Disraeli] found himself almost the only figure on his side capable of putting up the oratorical display essential for a parliamentary leader." Looking on from the House of Lords, the Duke of Argyll wrote that Disraeli "was like a subaltern in a great battle where every superior officer was killed or wounded." If the remainder of the Conservative Party could muster the electoral support necessary to form a government, then Disraeli was now guaranteed high office. However, he would take office with a group of men who possessed little or no official experience, who had rarely felt moved to speak in the House of Commons before, and who, as a group, remained hostile to Disraeli on a personal level, his assault on the Corn Laws notwithstanding. Disraeli's friendship with the Bentinck family was cemented in 1848 when Lord Henry Bentinck and Lord Titchfield loaned him £25,000 (equivalent to almost £1,500,000 today) so that he could purchase Hughenden Manor, in Buckingham county. This purchase allowed him to stand for the county, which was "essential" if one was to lead the Conservative Party at the time. He and Mary Anne alternated between Hughenden and several homes in London for the remainder of their marriage. The first opportunity for the protectionist Tories under Disraeli and Stanley to take office came in 1851, when Lord John Russell's government was defeated in the House of Commons over the Ecclesiastical Titles Act 1851. Disraeli was to have been Home Secretary, with Stanley (becoming the Earl of Derby later that year) as Prime Minister. The Peelites, however, refused to serve under Stanley or with Disraeli, and attempts to create a purely protectionist government failed. 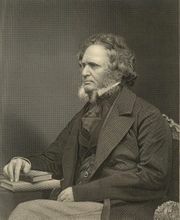 Russell resumed office, but resigned again in early 1852 when a combination of the protectionists and Lord Palmerston defeated him on a Militia Bill. This time Lord Derby (as he had become) took office, and appointed Disraeli Chancellor of the Exchequer and Leader of the House of Commons. Disraeli's first and primary responsibility was to produce a Budget for the coming fiscal year. He proposed to reduce taxes on malt and tea ( indirect taxation); additional revenue would come from an increase in the House tax. More controversially, Disraeli also proposed to alter the workings of the Income Tax ( direct taxation) by "differentiating"–i.e., different rates would be levied on different types of income. The establishment of the income tax on a permanent basis had been the subject of much inter-party discussion since the fall of Peel's ministry, but no conclusions had been reached, and Disraeli was criticised for mixing up details over the different "schedules" of income. He was also hampered by an unexpected increase in defence expenditure, which was forced on him by Derby and Sir John Pakington (leading to his celebrated remark to John Bright about the "damned defences"). This, combined with bad timing and perceived inexperience led to the failure of the Budget and consequently the fall of the government in December of that year. 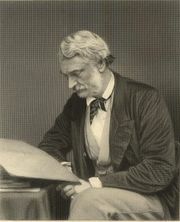 William Ewart Gladstone's final speech on the failed Budget marked the beginning of over twenty years of mutual parliamentary hostility, as well as the end of Gladstone's formal association with the Conservative Party. With the fall of the government Disraeli and the Conservatives returned to the opposition benches. 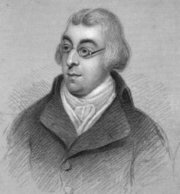 Derby's successor as Prime Minister was the Peelite Lord Aberdeen, whose ministry was composed of both Peelites and Whigs. Disraeli himself was succeeded as chancellor by Gladstone. Lord Palmerston's government collapsed in 1858 amid public fallout over the Orsini affair and Derby took office at the head of a purely 'Conservative' administration. He again offered a place to Gladstone, who declined. Disraeli remained leader of the House of Commons and returned to the Exchequer. As in 1852 Derby's was a minority government, dependent on the division of its opponents for survival. The principal measure of the 1858 session would be a bill to re-organise governance of India, the Indian Mutiny having exposed the inadequacy of dual control. The first attempt at legislation was drafted by the President of the Board of Control, Lord Ellenborough, who had previously served as Governor-General of India (1841-44). The bill, however, was riddled with complexities and had to be withdrawn. Soon after, Ellenborough was forced to resign over an entirely separate matter involving the current Governor-General, Lord Canning. With Gladstone's refusal Derby and Disraeli looked elsewhere and settled on Disraeli's old friend Edward Bulwer-Lytton, who became Secretary of State for the Colonies; Derby's son Lord Stanley, succeeded Ellenborough at the Board of Control. 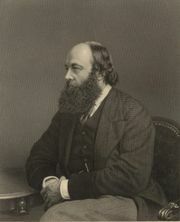 Stanley, with Disraeli's assistance, proposed and guided through the house the India Act, under which the subcontinent would be governed for sixty years. The East India Company and its Governor-General were replaced by a viceroy and the Indian Council, while at Westminster the Board of Control was abolished and its functions assumed by the newly-created India Office, under the Secretary of State for India. This was primarily a political strategy designed to give the Conservative party control of the reform process and the subsequent long-term benefits in the Commons, similar to those derived by the Whigs after their 1832 Reform Act. The Reform Act of 1867 extended the franchise by 938,427 — an increase of 88% — by giving the vote to male householders and male lodgers paying at least 10 pounds for rooms and eliminating rotten boroughs with fewer than 10,000 inhabitants, and granting constituencies to fifteen unrepresented towns, and extra representation in parliament to larger towns such as Liverpool and Manchester, which had previously been under-represented in Parliament.. This act was unpopular with the right wing of the Conservative Party, most notably Lord Cranborne (later the Marquess of Salisbury), who resigned from the government and spoke against the bill, accusing Disraeli of "a political betrayal which has no parallel in our Parliamentary annals." Cranborne, however, was unable to lead a rebellion similar to that which Disraeli had led against Peel twenty years earlier. Derby's health had been declining for some time and he finally resigned as Prime Minister in late February of 1868; he would live for twenty months. Disraeli's efforts over the past two years had dispelled, for the time being, any doubts about him succeeding Derby as leader of the Conservative Party and therefore Prime Minister. As Disraeli remarked, "I have climbed to the top of the greasy pole." However, the Conservatives were still a minority in the House of Commons, and the enaction of the Reform Bill required the calling of new election once the new voting register had been compiled. Disraeli's term as Prime Minister would therefore be fairly short, unless the Conservatives won the general election. He made only two major changes in the cabinet: he replaced Lord Chelmsford as Lord Chancellor with Lord Cairns, and brought in George Ward Hunt as Chancellor of the Exchequer. Disraeli and Chelmsford had never got along particularly well, and Cairns, in Disraeli's view, was a far stronger minister. 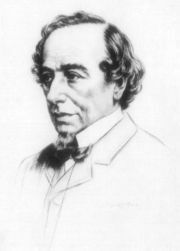 Disraeli's first premiership was dominated by the heated debate over the established Church of Ireland. Although Ireland was (and remains) overwhelmingly Roman Catholic, the Protestant Church remained the established church and was funded by direct taxation. An initial attempt by Disraeli to negotiate with Cardinal Manning the establishment of a Roman Catholic university in Dublin foundered in March when Gladstone moved resolutions to dis-establish the Irish Church altogether. The proposal divided the Conservative Party while reuniting the Liberals under Gladstone's leadership. 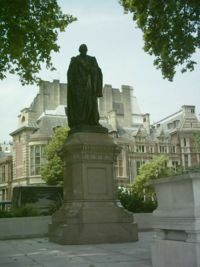 While Disraeli's government survived until the December general election, the initiative had passed to the Liberals, who were returned to power with a majority of 170. After six years in opposition, Disraeli and the Conservative Party won the election of 1874, giving the party its first absolute majority in the House of Commons since the 1840s. Under the leadership of R. A. Cross, the Home Secretary, Disraeli's government introduced various reforms, including the Artisans Dwellings Act (1875), the Public Health Act (1875), the Pure Food and Drugs Act (1875), the Climbing Boys Act (1875), and the Education Act (1876). His government also introduced a new Factory Act meant to protect workers, the Conspiracy and Protection of Property Act (1875) to allow peaceful picketing, and the Employers and Workmen Act (1878) to enable workers to sue employers in the civil courts if they broke legal contracts. Disraeli and Queen Victoria, during the latter's visit to Hughenden at the height of the Eastern crisis. Disraeli was a stauch supporter of the expansion and preservation of the British Empire. He introduced the Royal Titles Act, which created Queen Victoria Empress of India, putting her at the same level as the Russian Tsar. He also, over the objections of his own cabinet, purchased 44% of the shares of the Suez Canal Company. Difficulties in South Africa (epitomised by the defeat of the British Army at the Battle of Isandlwana), as well as Afghanistan, weakened his government and led to his party's defeat in the 1880 election. Disraeli and Gladstone clashed over Britain's Balkan policy. Disraeli saw the situation as a matter of British imperial and strategic interests, keeping to Palmerston's policy of supporting the Ottoman Empire against Russian expansion. 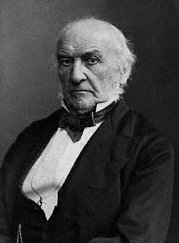 Gladstone, however, saw the issue in moral terms, for Bulgarian Christians had been massacred by the Turks and Gladstone therefore believed it was immoral to support the Ottoman Empire. Disraeli achieved a diplomatic success at the Congress of Berlin in 1878, in limiting the growing influence of Russia in the Balkans and breaking up the League of the Three Emperors. He was elevated to the House of Lords in 1876 when Queen Victoria (who liked Disraeli both personally and politically) made him Earl of Beaconsfield and Viscount Hughenden. In the general election of 1880 Disraeli's Conservatives were defeated by Gladstone's Liberals. Disraeli became ill soon after and died in April 1881. His literary executor, and for all intents and purposes his heir, was his private secretary, Lord Rowton. Benjamin was the second child and eldest son of Isaac D'Israeli and Maria Basevi. His siblings included Sarah (1802–1859), Naphtali (1807), Ralph (1809–1898), and James (1813–1868). Before his entrance into parliament Disraeli was involved with several different women, most notably Lady Henrietta Sykes (the wife of Sir Francis Sykes, Bt), who served as the model for Henrietta Temple. His relationship with Henrietta would eventually cause him serious trouble beyond the usual problems associated with a torrid affair. 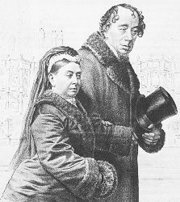 It was Henrietta who introduced Disraeli to Lord Lyndhurst, with whom she later became romantically involved. As Lord Blake observed: "The true relationship between the three cannot be determined with certainty...there can be no doubt that the affair [figurative usage] damaged Disraeli and that it made its contribution, along with many other episodes, to the understandable aura of distrust which hung around his name for so many years." Although born of Jewish parents, Disraeli was baptised in the Christian faith at the age of thirteen, and remained an observant Anglican for the rest of his life. At the same time, he considered himself ethnically Jewish and did not view the two positions as incompatible.